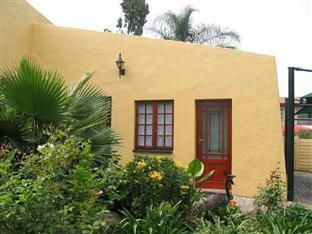 ﻿ Strathavon Bed and Breakfast Johannesburg. JIMAT di Agoda.com! Ada soalan mengenai Strathavon Bed and Breakfast? 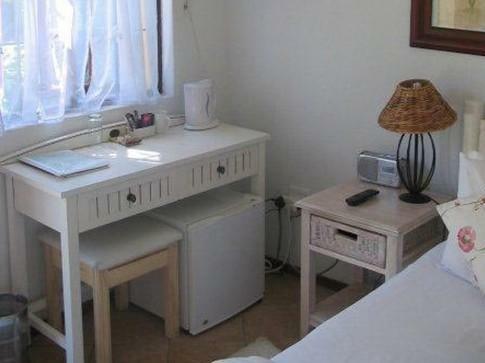 Terletak di tengah-tengah Sandton, Strathavon Bed and Breakfast merupakan tempat yang sesuai untuk meneroka Johannesburg. Dengan lokasi hanya 5.0 Km dari pusat bandar dan 28.4 Km dari lapangan terbang, hotel 3-bintang ini menarik banyak pelancong pada setiap tahun. Juga terletak berdekatan adalah The Perfect Match Market, Gim Virgin Active Sandton, Old Stock Exchange. Strathavon Bed and Breakfast menawarkan perkhidmatan yang sempurna dan semua kemudahan penting untuk menceriakan pelancong. Hotel ini menawarkan Wi-Fi percuma semua bilik, Wi-Fi di tempat awam, tempat letak kereta, pengangkutan lapangan terbang, bilik keluarga untuk memastikan tetamu menikmati keselesaan yang terbaik. Hotel ini mempunyai 6 bilik yang sangat cantik, setiap bilik dilengkapi internet wayarles, internet wayarles (percuma), bilik larangan merokok, meja, beranda/teres. Kolam renang terbuka, taman di hotel merupakan tempat yang ideal untuk anda relaks dan tenangkan diri selepas hari yang sibuk. 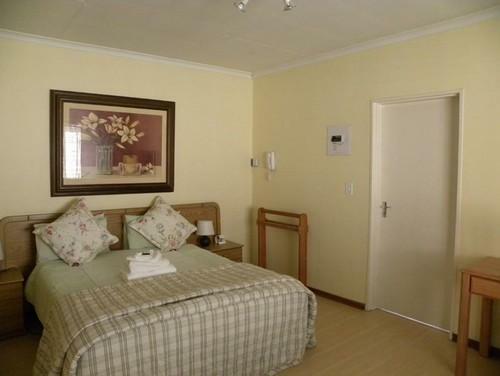 Strathavon Bed and Breakfast adalah destinasi sehenti anda bagi penginapan hotel berkualiti di Johannesburg. The hotel and staff as well as location is excellent. I would recommend everyone to go there. Staff are fantastic, very helpful and the environment is very clean and peaceful indeed. I felt like I was in a garden of Eden. People were friendly and clean place with beautiful flowers and swimming pool. I liked my standard rooms.The shower,bathroom were spacious .The only thing I wish they would have changed in the room is a Tv. I did notice the other rooms had a Flat-screen Tv but mine was an old fashioned Tv. One more thing is for them to have swiping machine in their office ,and lastly is to install refrigeratora in some rooms ,so we don't have to go back and both to the kitchen for stuff.But above all I am still enjoying my stay.Quiet and peaceful place.Thank you. Great location and very comfortable and affordable for those who don't mind catering for themselves. Wanted a late check-out (only 3 hours extra) and got charged an extra night for that. Will not stay there again, only interested in money, do not have customers' interests at heart. 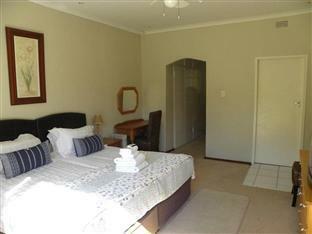 The B&B is inside a secure residential area in Sandton. Everything was quite good for a short stay, except the power was out in the morning. No generators. Would’ve appreciated a heads up. It was value for money but there were times when my sleep was interrupted due to guests arriving. I believe that the room in which I stayed needs some maintenance attention (toilet seat loose, dampness etc.). I also believe that the t.v. channels should be increased to include a good movie channel and an international news channel. Fantastic stay! Nancy is an amazing host and she is very passionate on what she does. When I arrived late because I decided to have dinner in town, she phoned me to ensure I'm ok. Also, she arranged a reasonably priced taxi. The room is small but clean and warm. There's even a portable heater! It is 5 minutes by cab from Sandton station. So it's very convenient. I'll stay again if I visit Joburg. Stayed there for over a week and enjoyed it very much. 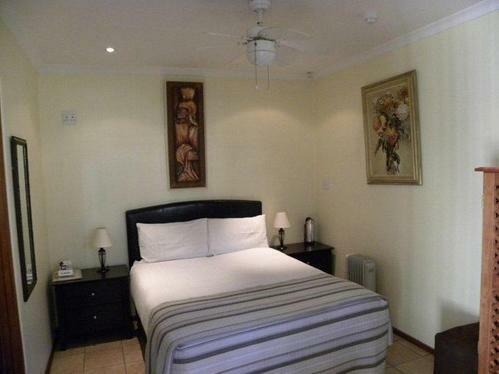 The location is close to Sandton central, very quite and good for relaxing or working next to the pool. The staff and owner were very friendly and it felt like being part of their family :-) There is also the Gautrain bus driving in front of the Sundown Estate, to catch the bus its only a 10min walk, and it takes around another 10min with the bus to Sandton central and Mandela Square. 日本で申し込んで行った現地ツアーが取れていなくて（催行されなくて）、結局個人手配になったのですが、私のつたない英語力を理解して、親身になって代行してくれました。帰りの飛行機の事前チェックインや、その際の座席変更、また帰りのタクシーの手配など　Mrs.Nancy Turner にはすっかりお世話になりました。 住宅街なので、夕飯を調達するのに不便でした. Quarto excelente, espaçoso, limpo, com tv, ar, ventilador, banheiro enorme, cozinha dentro do quarto com microondas, geladeira, chaleira elétrica, pia. Local tranquilo, 10 min do Sandton city/ Mandela square, cafe bom porem so a partir das 7:30h (maioria e assim). Staff ótimo e gentil. De locatie was goed, maar de kamer erg klein. Er was ook geen koelkastje aanwezig, terwijl het erg warm was. Ontbijt werd alleen tot 09.30 geserveerd en was karig.